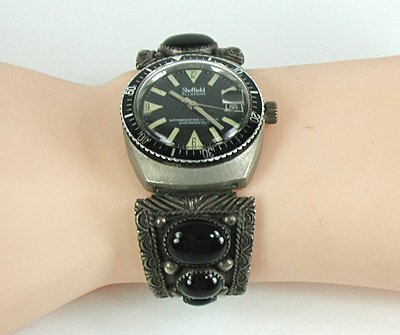 This is a heavy watch with detailed stamping and a rich patina. 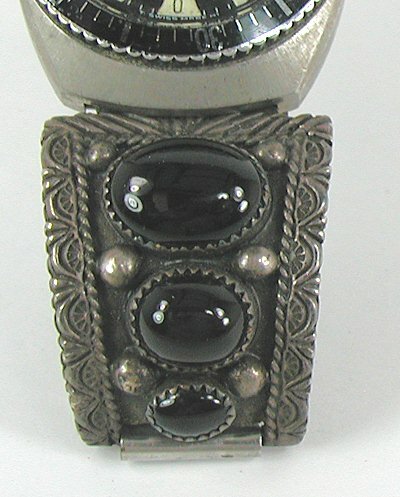 Tips are 1 1/4" x 1 1/4"
Vintage, Pre-owned, stones tight with no cracks or chips; dark patina; see photos for wear and patina; timepiece works. 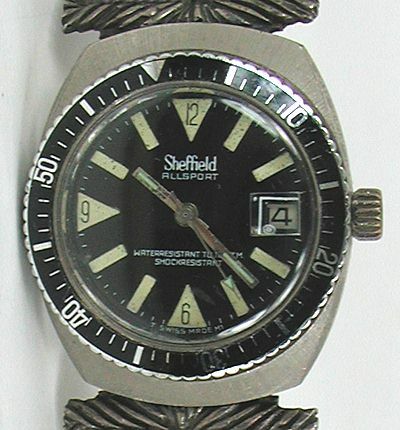 Comes with vintage Swiss-made Sheffield ALLSPORT wind-up calendar timepiece. Winds and will be running when we ship it, but it is vintage and carries no guarantee. "We include at no extra charge an expansion band and the new timepiece pictured here. 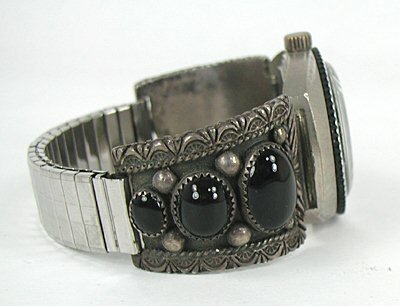 (None of these are sterling silver nor Native American made). The timepiece will be running when it leaves here. We are selling you the tips only - the timepiece and band are included free of charge, we make no warranty on the timepiece or band. 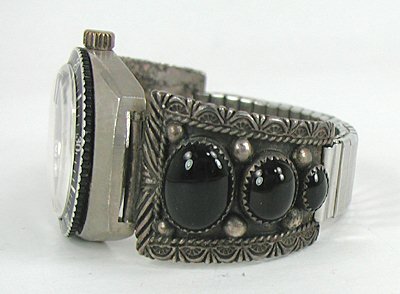 Watch tips are 1 1/4" x 1 1/4".